Adrienne Keene notes that she could have a breakfast made only of Native-themed products: Calumet Baking Powder, Indian Head Corn Meal, Squaw Bread, Land O'Lakes Butter, Sue Bee Honey, Orangina drink, etc. She continues:The sad thing is I could keep going and going…I’m sure you come across other products in your daily life as well (feel free to share in the comments). And this is just food. In isolation, each of these would seem like no big deal–these are the “good” stereotypical images. The “noble savage.” No wild eyes or big noses, just headdresses and Indian maidens. But when taken as a collective, is it any wonder that most people in the world think of Native peoples as headdress-wearing Plains chiefs or buckskin-clad Indian women? I’m not saying there isn’t stereotypical imagery of other racial/ethnic groups in branding, but the ubiquity of Native imagery is striking. Many/most of these products have “historic” ties to the logo, but that’s no excuse. If you look in the “about” pages of the companies, many of them mention the wish of the founders of the company to “honor” the local Native peoples. But, for example, sorry Umpqua Ice Cream, the Cow Creek Band of Umpqua Indians don’t wear plains headdresses. It’s 2012. 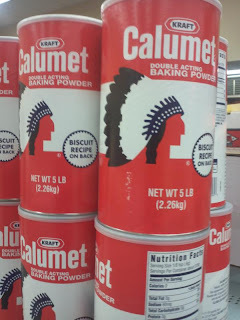 I think it’s time to critically examine the way that Native peoples are represented in branding and advertising. Why is this still socially acceptable? Much like Indian mascots, these images are not “honoring,” they serve to collapse hundreds of distinct nations and cultures into one stereotypical lump, and perpetuate stereotypes of Native peoples living like they did in the 1700′s, rather than modern people who are shopping at the local Star Mart (without a headdress on). Truly, for many people, these are the only representations of American Indians that they see. Add on to that Indian mascots, hollywood stereotypes like Tonto and Twilight, and is it any wonder that Native peoples and issues continue to be marginalized and forgotten? How is a small child supposed to know that all Indians don’t say “how” and wear feathered headdresses everyday, when every morning they are putting Land ‘O Lakes butter and Sue Bee Honey on their squ*w bread? I don’t know about you, but this breakfast didn’t sit too well with me. Turns out racial inequality isn’t so yummy, it just makes my stomach hurt.Comment: For more on food stereotypes, see Thunderbird Energetica Energy Bars and Plains Chief on Pemmican Package.